“The conference examines how social media platforms such as Facebook, YouTube, Twitter, are having a major impact on business practices and culture. How can these tools be utilised, how can you employ strategies within your company to increase profitability, sustain reputation and empower your employees to be brand ambassadors. 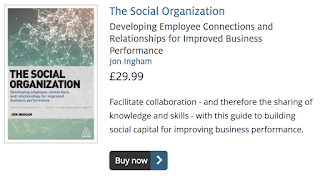 Indeed should you employ internal social networks within your own organisation as a means of facilitating a sharing community amongst your employees, or should you use public open platforms? These tools can be highly disruptive to any company and are changing the fabric of communications through PR and marketing, you can no longer sit back and watch this unfold, you need strategies in place, you need to know what to say, how to say it, and when to say it. Conferences of this type ordinarily have a price tag of x4 or x5 the ticket price! We are thankful to our sponsors who enable us to bring this conference to you at an affordable figure. The cost of attendance is just £161 and readers of this blog can benefit from an additional 15% discount if they quote the following code when booking: 15SBIZ. We didn’t manage to do Talking HR again last night – show 20 on Social Learning will hopefully now be on Monday 12th October 2009 instead. Anyway, with a bit more time spare, I thought it might be time to update my original HR podcasts post, given that just over one year has gone by, and that there are now a few more shows out. Bill Boorman (Ready for Lift-off) provides cross-Atlantic commentary and conversation on recruiting, social media etc. Knowledge infusion's fortnightly Bill Kutik Radio Show (Bill reminds me should say ‘biweekly’ for my American audience) features some great, professional and interesting thought leader interviews. I’m sure SuccessFactors’ newly named Business Execution Radio podcast is just as good as the previous People Performance Radio (although I must admit, I’ve not yet listened to it since SF’s repositioning). CIPD Podcasts provide some good analysis, discussion, interviews with CIPD staff and HR professionals. Some of it will only be relevant to the UK or CIPD members, but much of it does have worldwide application too. Globoforce Podcasts provides some well argued cases for strategic recognition from Globoforce’s Andrea Dumont and Derek Irvine. Steve Boese and the HR Minion’s HR Happy Hour – good content, lots of fun and loads of participation. I may even stay up to join in live one day. HR Marketer’s HR Market Share Podcast is aimed at HR vendors (I think), but it always includes lots of useful information for practitioners too (you may even learn how to help your IT folk out with SEO). Human Resources IQ (IQPC)’s HR Today Podcast features interviews with IQPC conference speakers, authors etc. analyses The Office, NBC’s hit comedy (not quite as good as the original BBC version!) from an HR point of view. This includes discussions with HR pros, leaders, and specialists. Matt Lafata HR Technology Happy Hour Web Mingle is another HR technology podcast, and like the other happy hour above, is always good fun (learn about my favourite sci-fi show here). The weekly Personnel Today Audio – Friday Podcast provides discussion on recent HR news and other issues - mostly only relevant to a UK audience. Public Sector HR Podcast – a really interesting, well presented podcast that’s definitely worth listening to by professionals in the private sector too. Jim Stroud's Recruiters Lounge – HR celebrity interviews and controversial topics that daily affect the fastest growing service industry in the world. IMHO, the best of several recruiting podcasts. The Recruiting Animal Show is a ”fast-paced, hardball forum of recruiting infotainment”. Just turn the volume down! Chris Ferdinandi’s Renegade HR Podcast is a series of interviews with bloggers, authors and others, supporting Chris’ renegade HR manifesto. And of course, you know Talking HR. Together with Krishna De, an ex-SVP HR and client, and now a leading light in the use of social media, I discuss the latest issues in HR and employee engagement in the digital economy. You can listen live to the Bill Kutik Radio Show, HR Happy Hour, Mat Lafata, and Talking HR. The last three also allow (and encourage) you to join in the conversation via the phone. What other HR podcasts do you think I / my readers should be listening to? I’m also going to post shortly on other, broader focused podcasts that I’d suggest HR / talent management practitioners should listen to. The next HR carnival at Blogging 4 Jobs is going to focus on talent management strategies in the improving economy. My first response is to ask ‘what improvement’? The US may now be technically out of recession, but the UK’s still got some way to go… see the latest housing prices figures (and I’m having a tough day!). Jessica Miller-Merrell at Blogging 4 Jobs notes that even in the US, the recovery is going to have a “"W” or a slow “V” shape. And over at the Business Execution blog, Erik and Keith predict it’ll be a “U” shaped recovery. Perhaps the appropriate letter for the UK is an “L” (see, I told you). Make amends for cutting headcount, freezing pay, slashing benefits, decreasing hours, etc, and invest in Status and Fairness. Talking HR show #10: Navigating your way out of the recession. But I’d like to make one more suggestion too. And this pick’s up on Erik’s comment that “what drives high performance is a person’s social and emotional connection to work”, and also Jessica’s that “it’s the relationship that matters”. To me, the new priority is to develop social as well as human capital. Yes, human capital is still going to be vital. But if the W/V/U/L recovery is, as many people are predicting, a relatively jobless one, then organisations are going to need to do more than just optimising the engagement and alignment of their people. They’re going to need to optimise the way their people work together too. I think this is going to involve much more than just the use of Linkedin, Twitter and Facebook. Instead, it’s going to have to be about an appropriate mix of effective leadership, HR and management practices, OD interventions, and yes, web 2.0 tools as well. One of the best case studies of using values to develop mojo that I’ve come across recently is from Netflix, which I’ve also just posted on at the Moon Shots community ning. Netflix’s culture is clearly based around their values – and I like the way that these clearly do reflect their mojo and organisational capability (even if they’ve chosen to only articulate these through their values). Importantly, I think, the values are expressed as the behaviours that are particularly valued in fellow employees (“values are what we value”). And they’re not dressed up as things that everyone is supposed to internalise and make part of who they are. I just think this makes it easier to talk about them and clarify the organisation’s expectations. And the values aren’t just nice sounding statements - they’re also central to recruitment; performance management (“the keeper test”); reward (“adequate performance gets a generous severance package”); development (“we don’t try to do it”); promotion (“if manager would promote employee to keep them if employee were thinking of leaving, manage should promote now, and not wait”); exit (“Netflix doesn’t have to be for life”) and other HR processes. I particularly like the fact that their values are central to their recruitment processes, to ensure they only take people on if they do live the company’s values (and they don’t therefore need to ask anyone to change these). And in addition, the values are clearly seen as important – in that people will question others if they act inconsistently with the values. But I still think the company’s mojo and capabilities provide a better description for understanding what the company is about, and providing a basis for aligning its HR processes in the way I’ve described above. While I’m addressing the presentation, I should also mention that I do have some issues with the company’s approach. For example, they suggest that having 10 people interview each candidate is a ‘bad’ process – something they want to avoid to minimise complexity. Well, maybe. I mean, while having even 2 or 3 people interview the same candidate can be a bad process if there’s no agreed job description, communication between interviewers etc, having 10 people interview can be a good process as well – Google is a prime example. And given that recruiting high performers is such a critical aspect of Netflix’s strategy, I would suggest that they shouldn’t dismiss the approach as easily as they seem to have done. In addition, I can see that the company might regret its decision not to use variable pay. Providing a base which reflects and outperforms the market makes sense, but what about the person who is significantly ‘overpaid’ – what incentive do they have to perform as well as they can? But in the main, I think it’s a fantastic example of so many things I support – particularly a really clear mojo, and the development of best fit (vs simply best practice) HR processes that support this positioning. For more information, go over to Moon Shots and take a look there too. I’m a bit late on this one, but it occurred to me while I was preparing my slides for the performance management event in Greece next month, and thinking back over a recent client project, that Dan Pink’s points on intrinsic vs extrinsic motivation, made in his recent TED session, link to the differentiation I’ve made previously between performance management and performance leadership. This hadn’t clicked for me before, and so in my HR Zone article last week, I just referenced Pink’s perspectives, and what I thought was a very compelling rebuttal from Paul Herbert. Performance management is about doing something that an organisation needs doing; about working to SMART objectives; cascading and alignment - and motivation for this has got to come from extrinsic reward. Performance leadership is based on the individual – their dreams and aspirations; and how these can be met by doing work for the organisation. It focuses on the creative work vs simple problems that Pink described in his presentation. And it comes from the unique interests and motivations of the individual so performance is its own reward. The People Management Executive Seminar is a meeting point for HR and management Leaders in the country. The event, which in previous years world has hosted renowned academics, writers and HR experts such as David Ulrich, Lynda Gratton, Gareth Jones, Paul Evans and Ruth Wageman, is accredited as the most important event for executives who wish to acquaint themselves with the latest knowledge and thinking on people management and development. In the difficult conditions in which businesses operate this year, the event will focus on the key area of performance management. Let me know if you’re going to be there, and would like to meet. I’ve also got some availability on the afternoon of Wednesday 21st October. September 16th’s edition of Human Resources Executive Online includes a couple of features on HR technology in the run up to their HR Tech conference in Chicago (I’m going to have to miss it again, but will get there one year soon…). According to the conference chairman, Bill Kutik, talking on his Radio Show, attendance is down this year, but not substantially. “The results of the survey underscore the value that companies continue to attach to the HR function as an integrated and complementary support system for achieving business goals and priorities. This view has prevailed despite the pressures on companies to search hard for cost savings throughout the organization. Much of this investment in HR technology is aimed at improving HR's basic "blocking and tackling": making better use of existing HR systems to “cut costs, find efficiencies and support worker productivity during the current economic mess”. To an extent, I think that’s fine. It’s been clear for a long time that many organisations have needed to make better use of their existing technologies. In one sense, the recession has provided a useful breather for these organisations, allowing them to put more emphasis on maximising benefits from their existing investments, rather than continuing to acquire new systems. In many cases the existing systems will include unused, higher functionality, HCM modules of big HR administrative systems and it’s often going to make sense to use these rather than look for slightly better functionality or an enhanced user experience from best of breed systems. Particularly when large budgets are still in short supply. But I also think it’s a shame, and potentially a real, significant disadvantage if this is all that companies are doing right now. Technology is still moving on a pace, and becoming more and more important to managing people effectively. So even if, as HRE suggests, companies have to focus, postpone, shrink and standardise, I’d also encourage them to ensure they do have a plan of where they need to go. 1. Have a plan for the next 3 to 5 years ahead. This plan should fall out of developing an HCM strategy (see my post for more details on this – HR technology is part of the ‘HR function capability / transformation’ box). 2. Ensure an effective base system of record is in place (a basic HR admin system – although I’d suggest this should really be called a Personnel system as it deals with the bottom, value-for-money, or Personnel level in the HCM value triangle). 3. 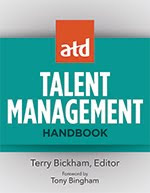 Invest in / plan for appropriate HCM / talent management systems to help managers meet specific business needs (HCM systems are really ‘HR’ systems as they deal with adding value to a business). 4. Investigate opportunities to use systems which can directly improve peoples’ productivity, ability to innovate etc (these are what I would call real HCM systems as they help organisations create value through people rather than just helping them manage people – listen to my interview on HRchitct’s Happy Hour earlier this year for more information on this. I’d suggest that social media is going to be a good example of this level of technology in many organisations). 5. Take advantage of one obvious opportunity to create value that is available for most organisations – give all your knowledge workers a work iphone (the best productivity tool that anyone can get!). 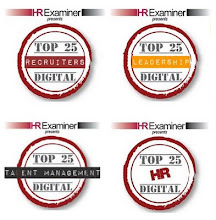 It’s great to be included in this list - particularly as I don’t post on HR technology that often. I must try to do so more, and Bill, I will get to the conference one year, I promise!. I wrote in my last but one post that I’d follow up on my review of Rosabeth Moss Kanter’s description of Procter & Gamble’s value-led strategy with some more notes on the role of values in supporting organisational mojo. Firstly, I should explain that I’m not generally a fan of organisational values (see this post). After all, I post fairly regularly on the need for organisations to be clear about how they’re going to operate (their mojo) and then to compete on the way that they’ve structured themselves around this (their organisational capabilities). I just find it difficult to feel positively about the role of values in supporting mojo and organisational capability. This is partly about my own experience. None of the best change processes I’ve been involved in – as an employee, a line manager, an HR Director or a consultant – have involved them. And some of the very superficial and ineffective change exercises that I’ve been involved in (not, I hasten to say, as a change leader) have placed a new set of values at the very centre of the change. I also don’t like the idea that people should be asked to change their own values to fit with an organisations. Again, this perspective comes largely from my own introspection and the fact that I’ve never really changed my own values to fit with an organisation’s – at least not as a result of any intentional strategy of, and deliberate actions taken by, an organisation. However, I do recognise the benefit of values within recruitment – to ensure that people are only recruited when they have the values that the organisation wants them to exhibit. In addition, I have changed my values when I’ve seen the benefits of, and been engaged by, an organisation’s values. That is, they’ve not asked me to change my values – but I’ve been personally compelled to do so. Of course, I’d argue that what really compelled me to change was the organisation’s mojo, its organisational capabilities and its culture – not it’s values. But I suppose values can have a role in helping to articulate what the organisation’s mojo / capabilities / culture are about. This is going to help organisational leaders, and employees, ensure that their actions are aligned with their mojo, and as long as this is the way that values are used, then doing this is only going to help. Deirdre Honner posts the latest HR Carnival at the HR Maven today. Do make sure you check out Dan McCarthy’s post on 10 Free Leadership Video Sites at Great Leadership – and some other great posts too. Rosabeth Moss Kanter has some great posts on her Harvard Business School Change Master blog, supporting her new book ‘SuperCorp: How Vanguard Companies Create Innovation, Profits, Growth, and Social Good‘. “It begins in a startling, almost counterintuitive way — with company values and sense of purpose. Invoke the heart and care about human needs, the strategy seems to say, and the money will follow. I’m going to review the role of values in supporting organisational mojo over the next couple of posts. * = I recognise that Goldsmith is going to popularise this term, but I did start to write about it first! “The concept of positive momentum: success building upon success. It anchors our self-esteem, shapes our careers and influences those around us. Reputation (Who do other people think you are? What do other people think you've done lately?). “The organisation's real central essence that gives it its life and character and distinguishes it from elsewhere. This definition fits most closely with the ‘identity’ element of Goldsmith’s concept. To me, achievement and reputation are outcomes of mojo, rather than part of the thing itself. The key to both these types of mojo, and the thing that distinguishes them from a better known BHAG, is that they focus on HOW and organisation works, rather than WHAT it does (ie about how the organisation's going to be rather than what it's going to do). This also seems to fit with Goldsmith’s ‘identity’ element. The second area of agreement between our two concepts is that both our forms of mojo emphasise the need for it to be internally generated – ie it is based upon they way the organisation already behaves, rather than what it would like to do in order to compete more effectively in the marketplace. In Goldsmth’s words, it “starts on the inside and is apparent on the outside”. This is the core reason why I think HCM strategy should follow an inside-out approach. Outside-in is fine for the development of a BHAG-led HR strategy, but as Goldsmith notes, mojo starts on the inside. * This post was triggered by an article on Marshall Goldsmith / Mojo on BNet. Success Factors provide one of my favourite HCM technology systems, and they do some great research. They (Erik Berggren) have also written one of my favourite HCM (Performance & Talent) blogs, although this dried up back in April, and has now been retitled the Business Execution blog. In fact SF itself has repositioned itself fairly dramatically as a provider of Business Execution software. I’ve got no doubt that this is a smart commercial move, and commentary (eg Josh Bersin, ZDNet) seems to agree. I think SF’s perspective is fine as long as you believe, like Josh, that Human Resources is a business support function (even one that has a direct impact on competitive advantage). But if you believe, like me, that HR can be a business leadership function, then you’re going to want to look for a bit more from your people than simply their ability to execute strategy. You’re going to want them to inform strategy as well. Successful teams execute, but they provide the basis for new business opportunities too. I’ve already posted on Ulrich’s new HR Transformation book a couple of times (1 and 2). But as I wrote in the first of these post, this was without the benefit of actually having read the book, which is always a rather dangerous thing to do. Organisational capability should provide our initial focus, from which we can think think about impact on the business, not the other way around. Organisational capability that will in itself provide competitive advantage is best identified through an inside-out, not an outside-in perspective. Each organisation needs to develop an HCM strategy after having identified its organisational capabilities, but before it moves into planning to transform its HR function. Flextronics’ organisational capabilities are leadership, customer connectivity and efficiency. And its HR strategy is design, discover and deliver. Pfizer’s organisational capabilities are organising the business for its best delivery and linking the outputs of the business units across the company to achieve results. Its HR strategy is not to be an enabler of business success but a driver of it (nice one, Pfizer!). Intel’s organisational capabilities are fast innovation, brilliant talent and proactive collaboration. 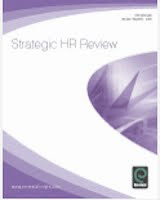 It’s HR strategy is to reduce the cost and complexity of tactical delivery and to develop a strategic HR competency. (There is a nice link here in that Intel HR is also seeking to foster innovation and collaboration within its own organisation – I don’t like the way it labels itself as a support function though). Takeda’s organisational capabilities are talent, accountability and innovation. It’s HR strategy is to deliver talent, accountability and innovation (!). For each of these, you need to understand the HCM strategy before being able to judge whether the HR strategy is appropriate. There’s just too tenuous a link between the organisational capability and the HR strategy otherwise. Takeda’s HR redesign isn’t just about delivering talent, accountability and innovation (how would you organise your HR function to do this?). It’s understanding what HR needs to do in order to deliver these capabilities (HR actions, learning and OD interventions, perhaps a bit more use of of social media etc). And then organising to be able to do these things effectively. The missing link is a critical one. I wish I was able to a couple of case studies of my own. Perhaps I’ll have a chat to a couple of clients and come back to do this in a few weeks time. One reason I wanted to revisit the book was that I do feel I gave Mr Ulrich a bit of a hard time in my last two posts (maybe in this one too). I’m not one of those bloggers who pour scorn on people for its’ own (or for SEO’s) sake. I just find that the more closely aligned I am with a particular author’s thinking, the easier I find it to criticise. What I do like about ‘HR Transformation’ is the way it pulls together just about all of Ulrich’s previous books (probably just with the exception of his three leadership books). There are also a couple of useful corrections, for example that ‘there is no magic list of desired or ideal capabilities’ (a point I’ve made several times). So if you’re new to Dave Ulrich, you really don’t need to read any of these other books now. But then, you’d still be better off reading mine! 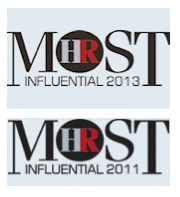 I’ve been reading some of Adrienne Corn’s recent report on HR and social media. Adrienne notes that many companies are still struggling to understand how to harness the power of the new virtual world of social technology – particularly in areas like HR, where compared to Sales & Marketing, the application of social media is relatively less clear. Over 1/3 of people are already using social media on a daily basis. This number is increasingly exponentially, and Gey Y are in any case less apt to use traditional methods in pursuit of employment opportunities. There is generally a high level of ‘virtual authenticity’ – ie people generally present themselves as themselves on the web. People are aware that companies are ‘scraping the internet’ for personal information and corporate use of personal information has little effect on individual disclosure of this information. There is a need for cultural change in organisations – particularly as companies shift to virtual workforces, they need people who are comfortable in virtual work communities. I’d go along with these, but I think (without the benefits of having researched this) that there’s a few other important drivers too. One is enabling people to be more involved in the management processes that otherwise just happen to them (career management for example). And another is supporting a move to a more social way of managing – helping people do things between themselves (referral schemes for example).